Endangered: Aass Pilsner beer, 33 cl. (11 oz.) can. Carbon dioxide (CO2) is essential to life on Earth. Land animals, including humans, exhale it into the atmosphere, and the gills of fish return it to the water in which they live. Plants and algae photosynthesize carbon dioxide to life-sustaining carbohydrates. In today’s world, that long-standing balance has been overshadowed by the burning of fossil fuels. The Earth has so much CO2 that it’s now the principal greenhouse gas causing global warming. Yet in Europe, enterprises that supply the public with food and drink now suffer a shortage of food-grade CO2, designated E290 in the European Food Safety Authority additive classification, corresponding to the U.S. Food and Drug Administration (FDA) GRAS (acronym for Generally Recognized as Safe) registration of it. Among its many uses are putting the bubbles in soft drinks and giving beer its fizz. 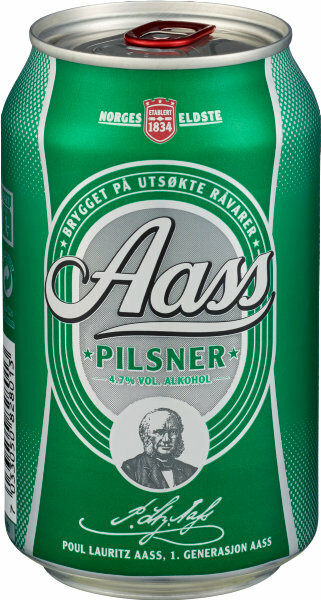 In Norway, the shortfall made headlines in mid June when the Aass Brewery in Drammen, Norway’s oldest (founded 1834), became the first to announce a cut in beer production due to its CO2 supply having been eroded by a mélange of markets. Food-grade CO2 is made from natural gas as a byproduct of ammonia production. The midsummer combination of falling ammonia prices and rising natural gas prices triggered producer cutbacks that in turn shrank supply. The key company in that supply is Praxair Norge AS, the Norwegian entity of Praxair Inc., an American industrial gasses company with operations worldwide. At press time, the company announced an imminent resumption of CO2 production. Provided that the vagaries of the gas market don’t postpone that promise, Norwegian beer is headed for full fizz by fall. This article originally appeared in the July 27, 2018, issue of The Norwegian American. To subscribe, visit SUBSCRIBE or call us at (206) 784-4617. Previous story NAOB er her!